If you just arrived from Abbys blog you are in the right spot !! I Used a free file from Lettering Delights, flowers and the font from the silhouette store. Never etched before? 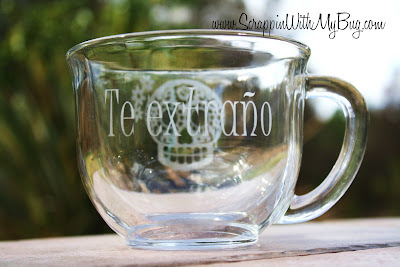 Here's a video I show you step by step, its fun, easy and a great way to personalize items. 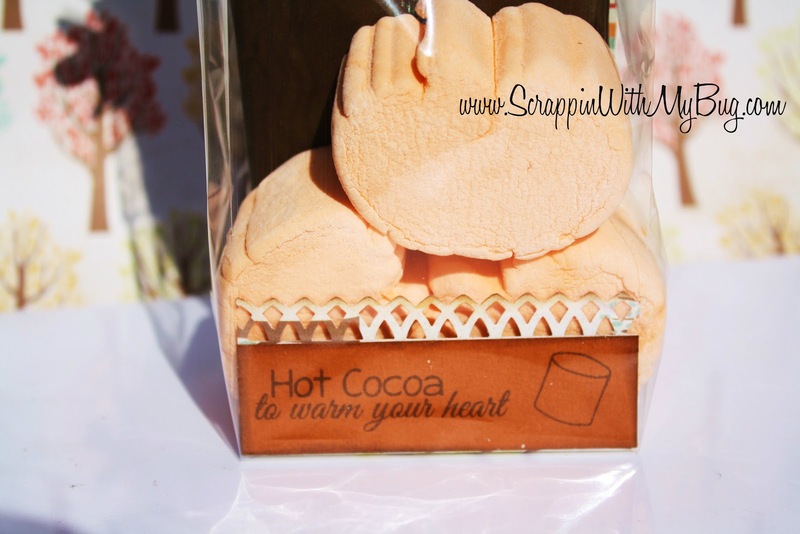 Hope you enjoyed my project and don't forget to comment to be entered into win all the prizes !! I also want to say Happy Day of the Dead from Disneyland !!! That's right we partied with Mickey last night on Halloween !!! Just thought I'd share a "Boo" banner I made recently with my Peachy Keen stamps , Echo Park Chillingsworth paper and lime & orange licorice Trendy Twine !! 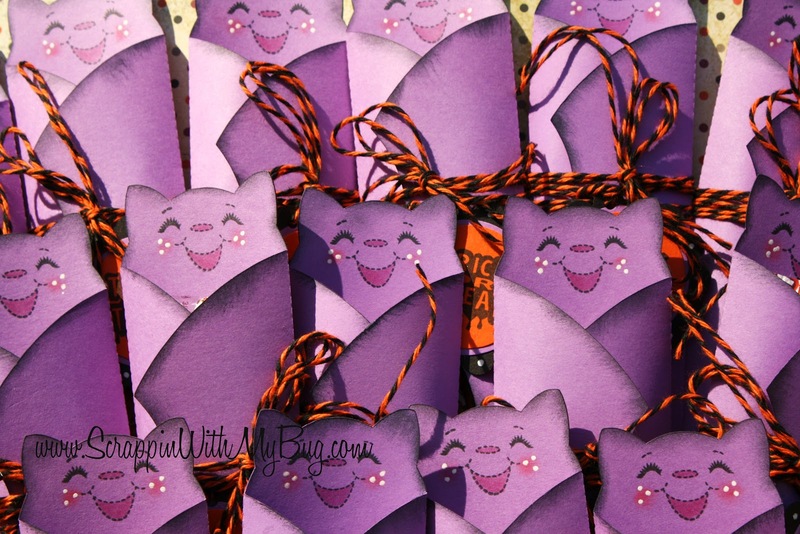 Hope you have a great Halloween !!! I'm in Disneyland with the family, trick or treating with Mickey !!! Its my day to post over at Peachy Keen Blog!!! The bat cut is from the Silhouette store, in order to accommodate the length of the candy, I had to make the bat longer. Inside are 3 sticks of sixlets !!! 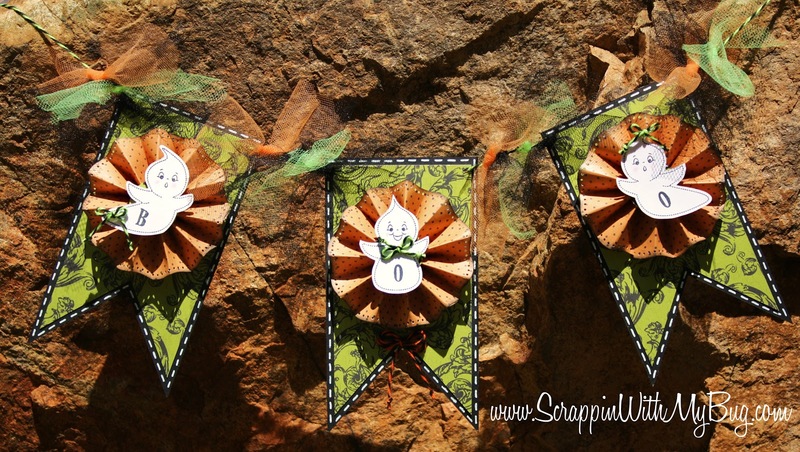 I used simple circle and scallop punches for the tag, and tied it around with Orange Licorice twine from Trendy Twine. Since I took this picture I have finished them all. 40 in all. Thank you to everyone who hopped with us and commented !! 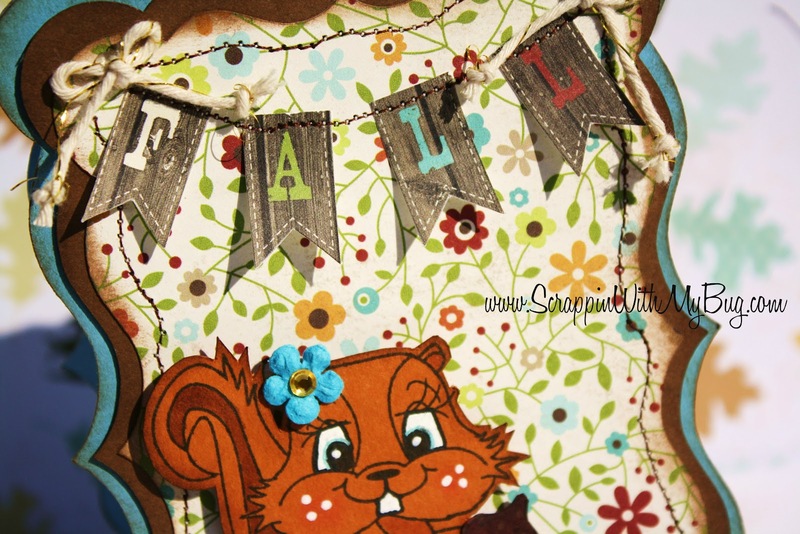 Surprise Baby Layout Hop !!! 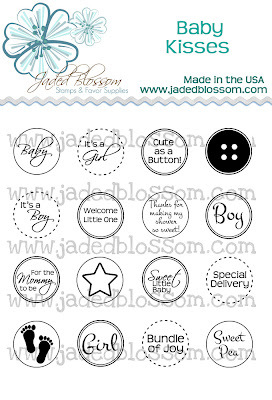 As you know Candace and I own Jaded Blossom.... well one of our design team members Jamie from JamieK711 Designs is having a baby boy in December. So I thought what an awesome gift it would be if all her friends got together and scrapped layouts for the first year of the baby's life !! As you go through the hop they will all be different themes for her to just drop in the pictures as her baby boy grows !!! BE SURE to leave COMMENTS, the more blogs you comment on the more your chances increase for winning !! Now on to my layout !! I chose Baby's first food. 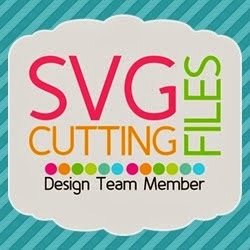 I used a file from Treasure Box, and the Silhouette store. 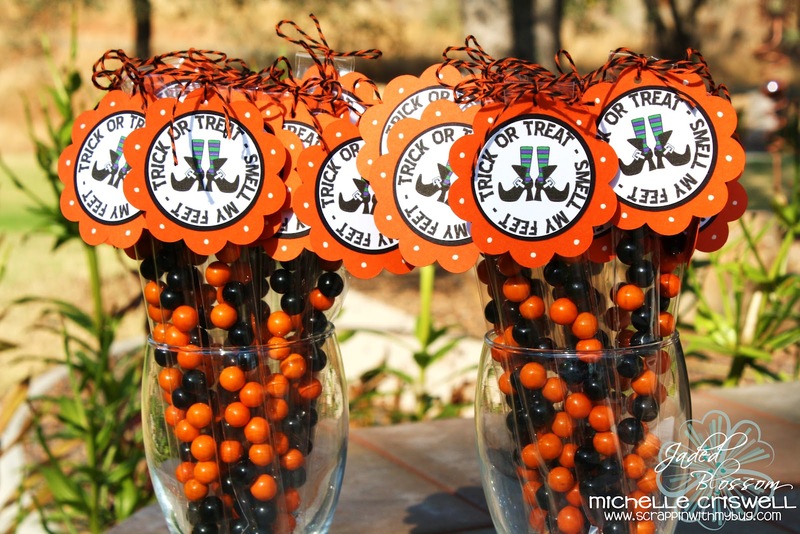 Trick or Treat ~ Halloween Hop !!! 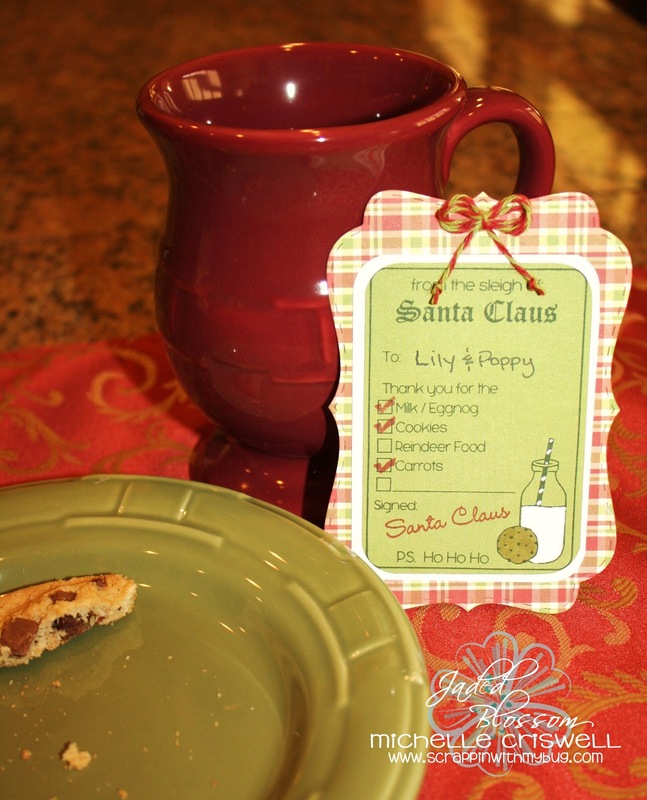 If you just arrived from Abby's blog then you are in the right spot !!! 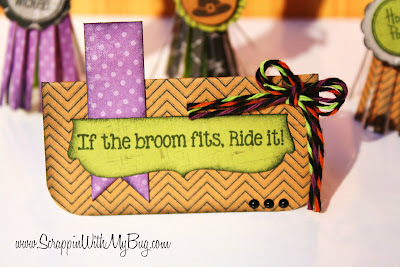 Today's hop project I used the Jaded Blossom Halloween Candies stamp set for the small round tags and Best Witches set for the sentiment. I created little witches brooms out of green apple licorice. In addition I used Trendy twine to tie it together. Using the colors Grape, Orange and Lime Licorice. and Yummy Echo Park paper !! Jaded Blossom HOP and RELEASE !!! 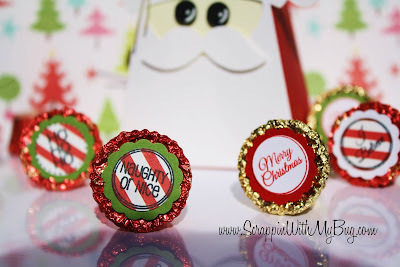 I used the NEW Fancy Topper Die and the Santa receipt from "Santa Mail"
I wanted to show how easy it is to make something cute, and then it can be put in the child's scrapbook. If you missed the video from earlier in the week. Here is also an extra Goody that you will receive just for ordering some Jaded Blossom Products this Weekend. 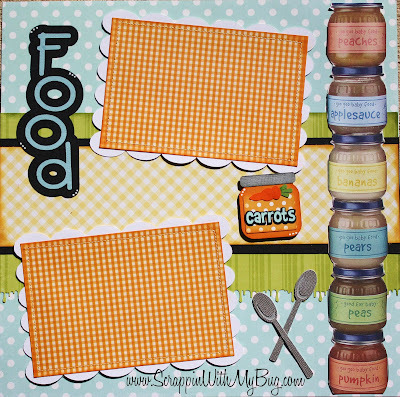 Its a new weekly challenge over at Peachy Keen !! 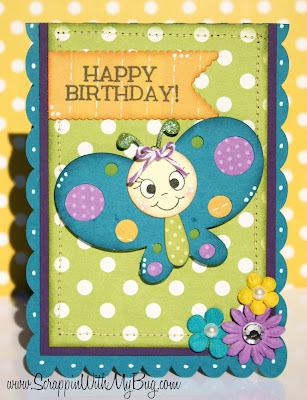 I absolutely love the bright but jewel tones this was soooo me !!! I used a free cut file from SVG Cutting files for the Butterfly, and a card base from My Scrap Chick. Also used Echo Park paper, a Jaded Blossom die and twine from the Twinery. I'm sure your asking why would I make so many ??? Well Its really hard to shop for my mom, so I have decided when I make a card to make several of them to put in a box for her as a gift. 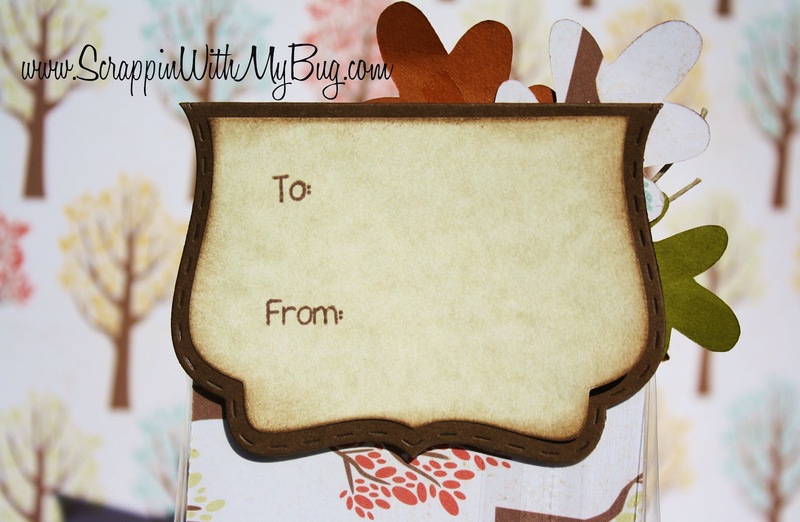 She loves to send cards to people and what a better gift then something handmade that she can send to others. "Winter Wishes" and "Winter Candies"
I used Winter Candies from Jaded Blossom for my project today. 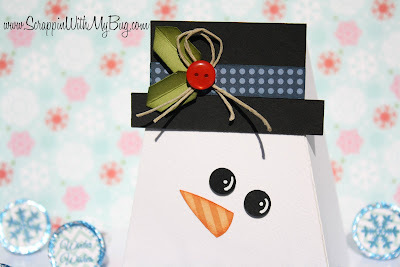 I also used a Silhouette cut file for the snowman and Echo Park patterned paper. 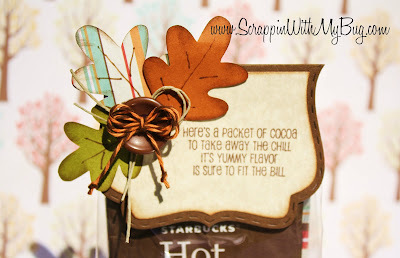 Hope you enjoyed all my projects this week!!! Day 3 of Release week !!! 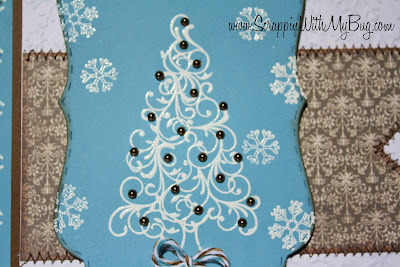 Have you liked all the Christmas projects you have seen so far?? 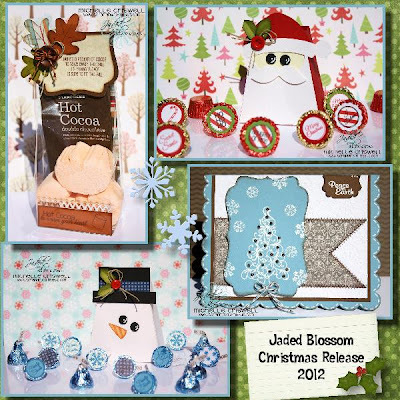 Today's sneak from Jaded Blossom is Christmas Wishes !! This is a gorgeous set I just had to emboss a card with it. 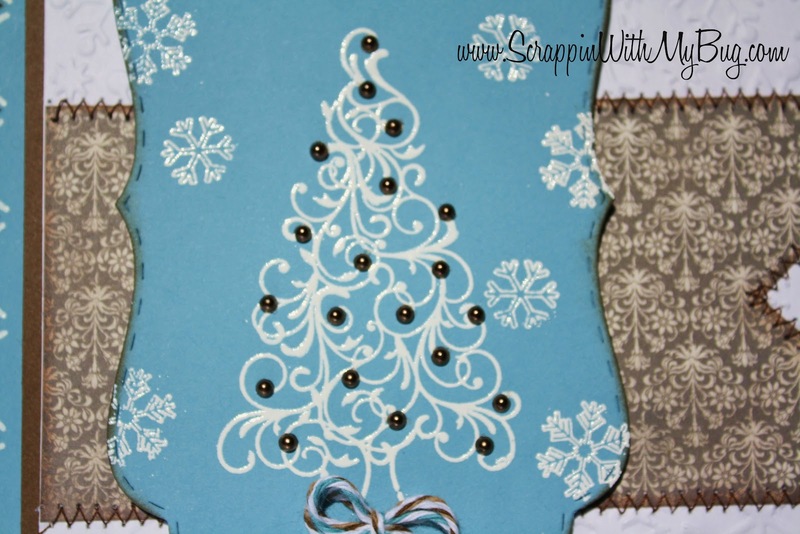 I used embossing powder for the tree, sentiment and snowflakes. 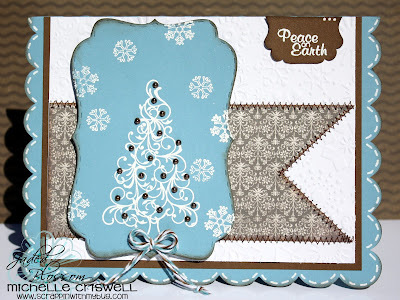 I also embossed the white background in snowflakes. Also the NEW Jaded Blossom Fancy Topper die !!! 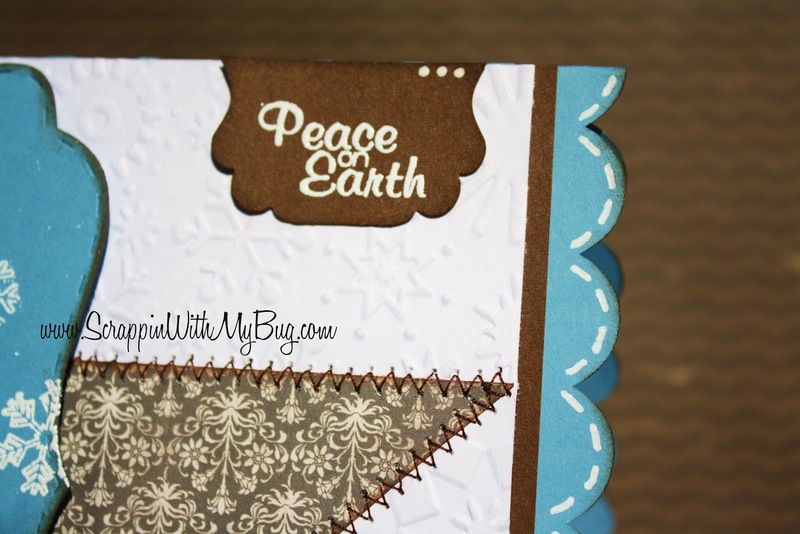 Also used twine from Trendy and Twinery and brown pearls. 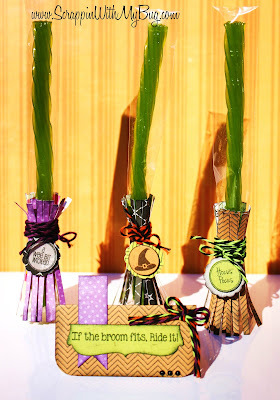 Please visit the Jaded Blossom blog !!! Yep its Day 2 of the Release of Jaded Blossom !!!! In my project today I used the Christmas Candies set. For the peanut butter cups I used a 1" scallop punch and a 3/4" circle punch. 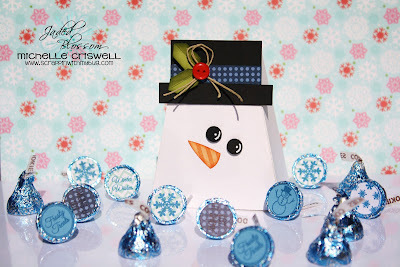 The Santa candy box is from the Silhouette store and the patterned paper is Echo Park. 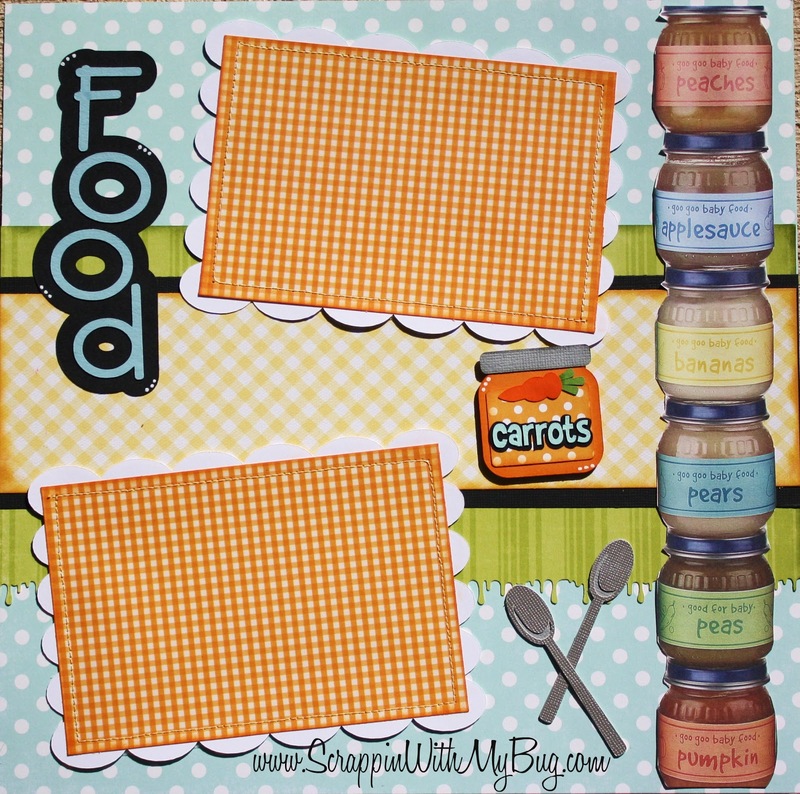 Wanna see more sneaks AND the entire stamp sets?? Today's the 1st day of sneaks !!! WHoo Hoo !! Jaded Blossom is showing you 4 items today !!!! 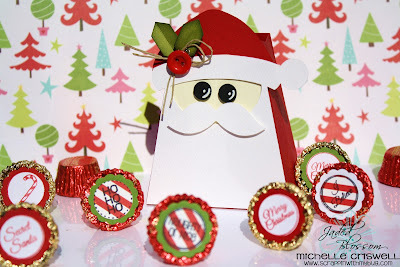 2 new sets "Hot Cocoa" and "Santa Mail"
Also a NEW die that can be used as a mat or a topper which I'm in LOVE with !!!! 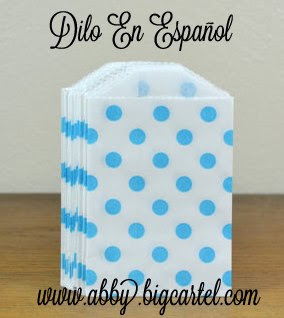 annnnnnnd ..... new gusset bags !!! yeah perfect for bigger items !!! 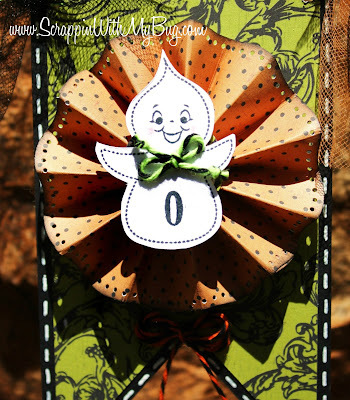 This die is 2 pieces the main big piece which makes the topper then a inner layer !!! I used it on both sides !! I have also put together a VIDEO to show you these products and how to use them in different ways !!! enjoy !!! 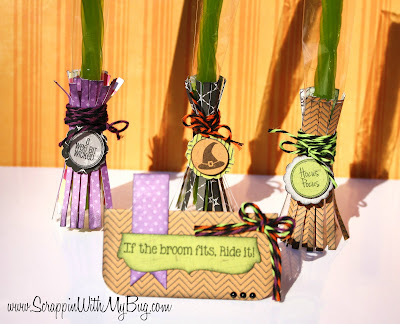 Jaded Blossom Monthly Challenge ! The first Sunday of the month means a NEW Jaded Blossom Challenge !!! 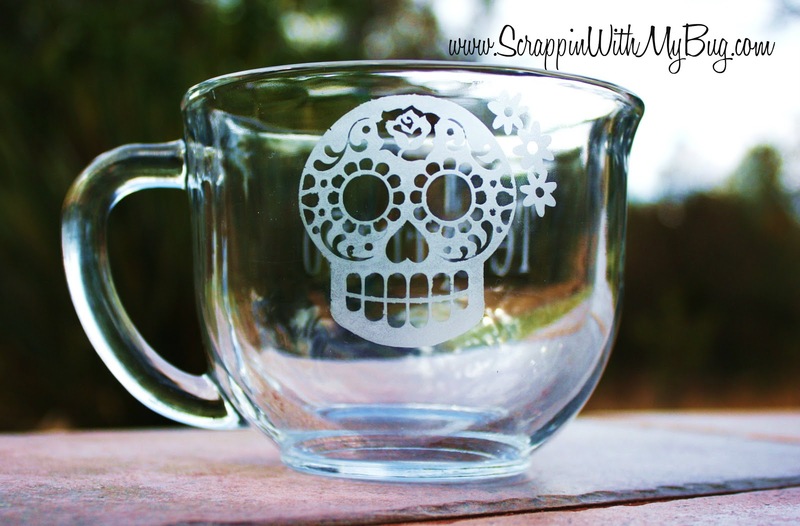 This challenge is super easy ! 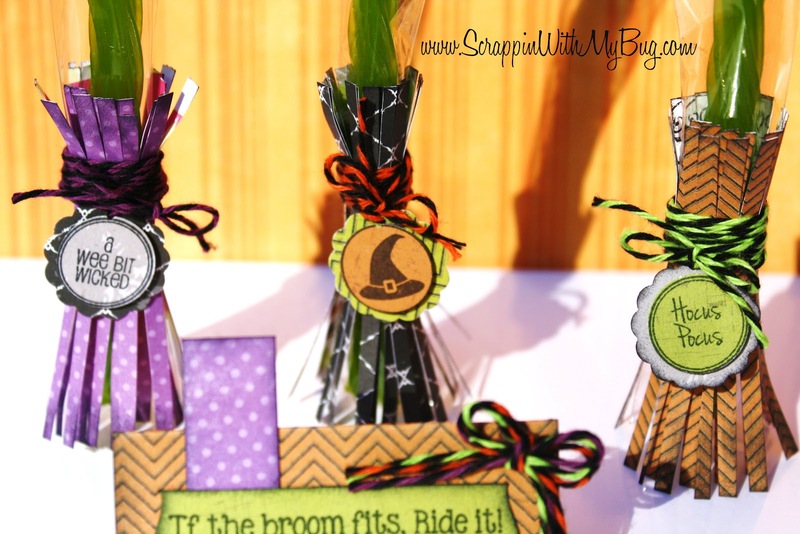 Make a Halloween Treat and use a Jaded Blossom stamp !! 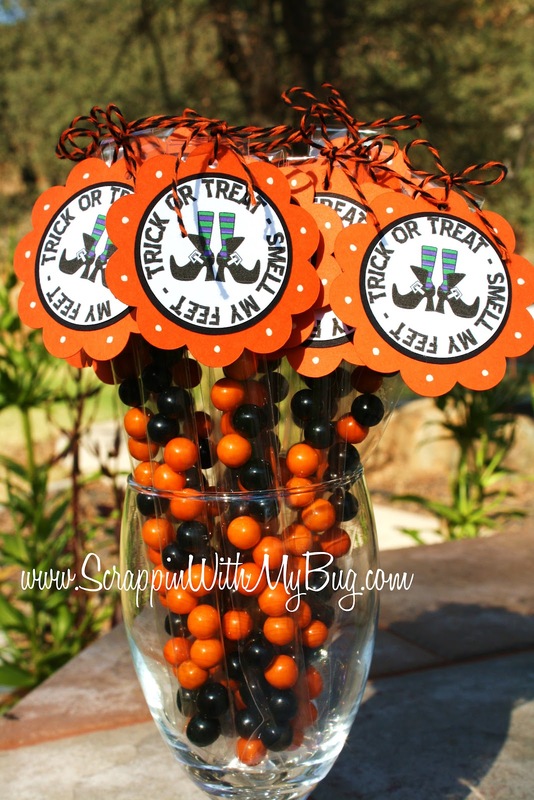 I'm sure most of us are making treats for your kid's class, so why not incorporate a challenge into it? 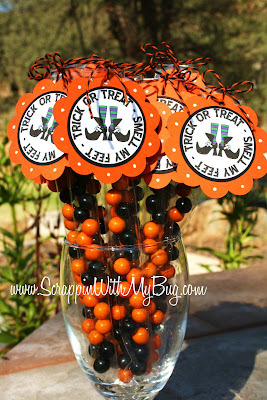 I made these cute candy sticks for my daughters preschool class. The stamp fits a 1 3/4" circle punch perfectly !!! For the black circle and orange scallop I used my Cameo to cut those. 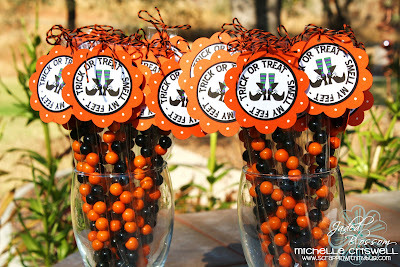 I attached them with some cute Orange Licorice from Trendy Twine. Don't forget to make up those treats and join us for the Jaded Blossom challenge!!! You have 2 weeks to link up!!! 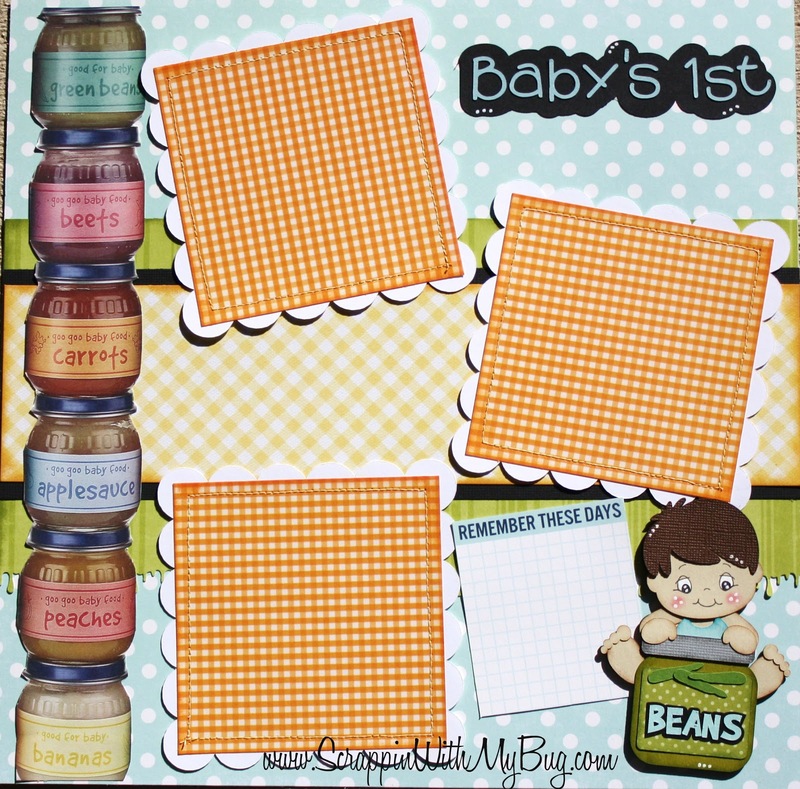 Peachy Keen Release & Challenge! 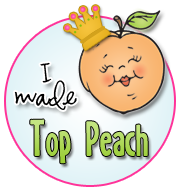 Whoo hoo today is the day for the Peachy Keen Release !!! Want to participate in the challenge and find out what it is? Visit the Peachy Keen Connection !!! 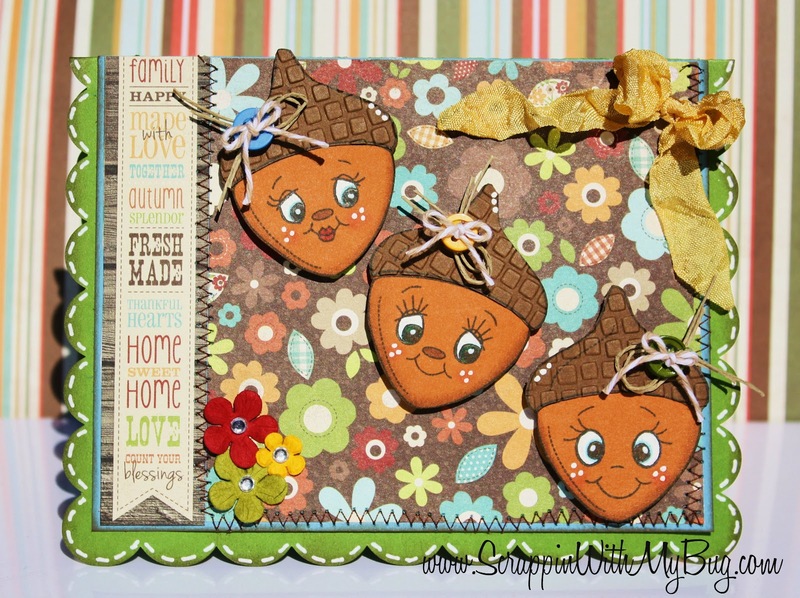 I used of course Peachy Keen stamp of the month for October for the acorns and the faces !!! 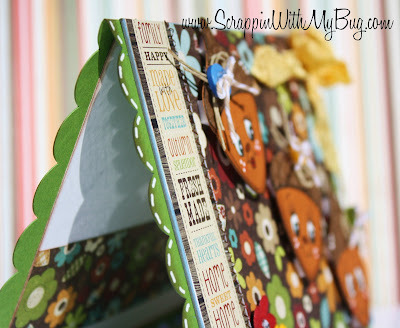 A My scrap chick file for the card base, Kraft twine from Trendy twine, ribbon from 3Jam, and paper from Simple Stories. Peachy Keen Release Sneak !!! 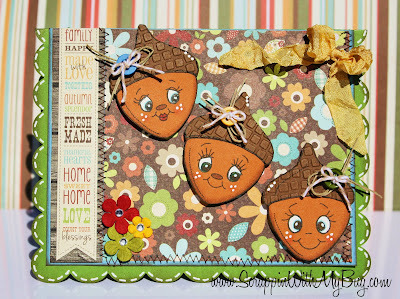 Its time for a sneak of the new Peachy Keen Stamp of the Month for October !!! 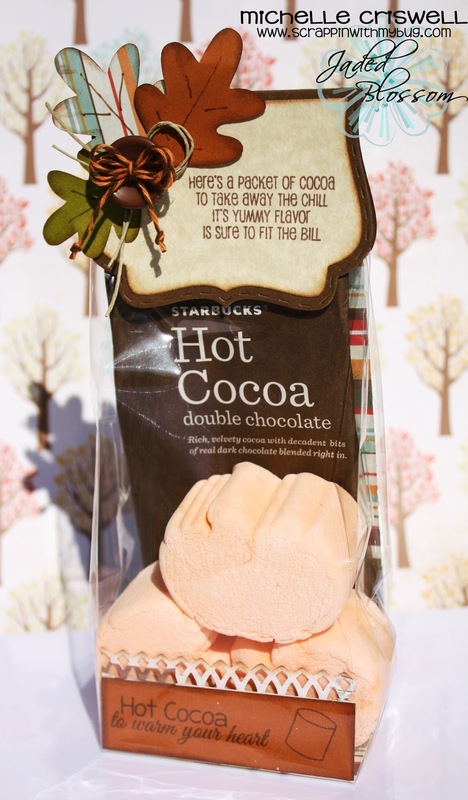 I love love this set it is soooo stinkin cute !! 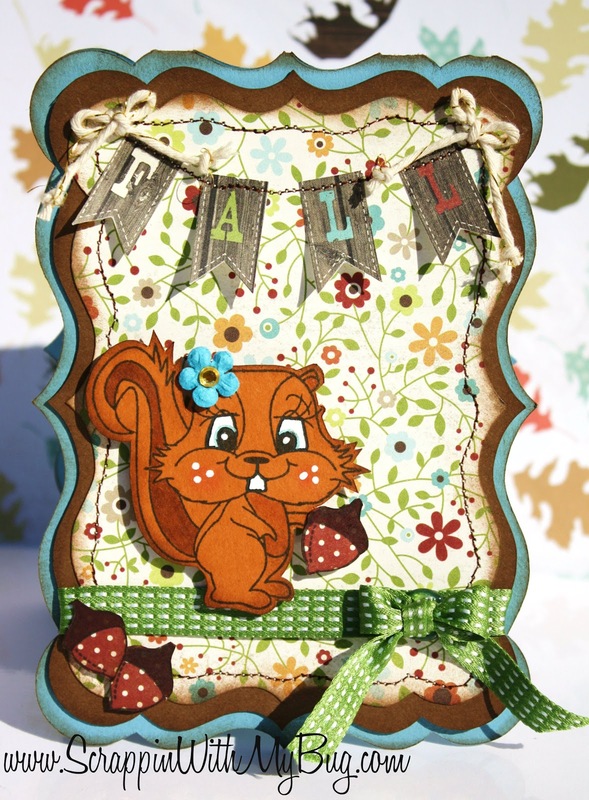 My favorite is this adorable chipmunk that you can change the faces on, and the acorns!!!! I used paper by Stampin Up, and Simple Stories. My sewing machine, ribbon from Stampin Up and May Road twine from Trendy twine. Wanna see more sneaks ???? 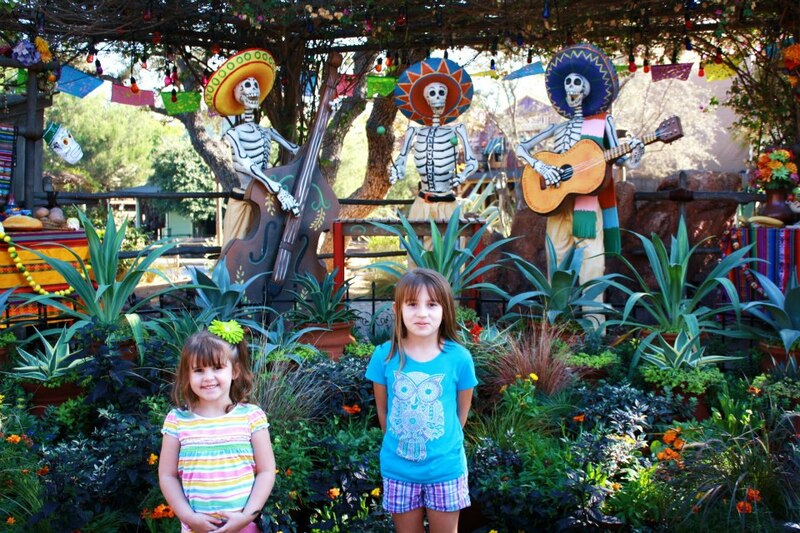 Check out the Peachy Keen Blog !!! !